Mannington's Runway Collection - Savy made with Ultron carpet fiber. Episode 9 of A Foot's Perspective takes place in Solutia's Ultron Carpet Fiber showroom at the Chicago Merchandise Mart during the recent NeoCon. NeoCon takes place every year in early June. This is the time when the contract divisions of carpet mills and furniture manufacturers unveil the latest collections and concepts for the corporate world. What's important to us as consumers is that these trends trickle down to our world in one to two years - usually with lighter colors. Here, I spend time with Ann Hurley as she describes new carpet trends relevant to the corporate side of the marketplace. + Mannington's Savy from the Runway Collection [pictured above]. The random starburst pattern has a shadow effect that comes from the sheared loops. + Clayton Miller's Cadence from the Peach Collection [to the left]. Note the handcrafted sweater quality that comes from the tufting. + North Adams from Bentley Prince Street [see left]. Note the contrast coming from light and dark yarns, with accents of black and multicolor yarns. + JJ/Invision's Broken Slate from Altered Elements [see below right]. Here, you see a combination of tonal color with bright and dull luster. As Ann points out in her comments, the carpet style or trend story has to do with contrast. Whether it is created through texture, color variation, and -the newest- luster, or a combination, contrast is the story. In an upcoming blogpost, I'll show you more of the showroom - this time, the walls! 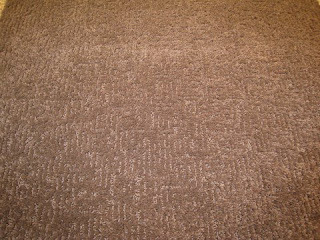 Meanwhile, here is an up-close-and-personal foot's perspective on new carpet introductions featuring Solutia's Ultron carpet fiber. This past week, a Google Alert appeared in my inbox and immediately caught my eye: "Biggest Hand-Made Carpet in World" it read, proclaiming this achievement in the Turkish Press, with a dateline from a little community called Nigde. Of course I clicked on the link to read more. I realize that I'm easily distracted, but who can resist the world's biggest carpet? The article stated that the alleged "Biggest Hand-Made Carpet" was created from two tons of wool acquired from 3,000 sheep and weighs 2,350 kilograms. And only six girls wove the entire 6.5m x 25.5m carpet (take a look at the carpet in the photo to the right). ... And it turns out that the Biggest Hand-Made Carpet is not, in fact, the biggest after all. 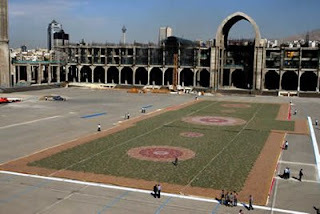 Created for a mosque in Tehran, the real largest hand woven carpet in the world is the size of a football field -- 60,546 square feet to be exact. Weavers in Iran's northwestern Khorasan Province used 38 tons of wool and cotton from Iran and New Zealand to create the carpet. Fun fact: it's made up of 2.2 billion knots. According to the Immense Knowledge blog, "The carpet is called the Qasr al-Alam (The Palace of the World) and took Ali Khaliqi, an Iranian artist, eight months to design. It was woven by 1,200 women, aged between 15 and 60, over 16 months. Working in three villages in northeastern Iran, they tied 2.2 billion knots and used 38 tonnes of the finest moth proof wool and cotton. They were supervised by 50 men acting as technical experts." The Immense Knowledge blog also states that the Palace of the World features traditional Persian designs like swirling vines and medallion centerpieces. In the photo above, the carpet rests in an open air prayer ground in Tehran. Unless you've been living in a fall-out shelter, you may have noticed that change is in the air. The economy is down, gas prices are up, and the whole world has gone online. At the same time technology (and oil) has reached an all-time high, it seems that nearly everyone is going back to nature. A strange juxtaposition indeed. But green is in vogue right now, and even in the design world, all things natural are sprouting like weeds. Here at Carpetology, we're especially intrigued by the concept of Biomimicry. "Biomimicry (from "bios," meaning life, and "mimesis," meaning "to imitate") is a design principle that seeks sustainable solutions to human problems by consulting and emulating nature's time-tested patterns and strategies." This is according to volume 2, issue 4 of Implications, a newsletter produced by InformeDesign (a searchable online database of research-based design information for design practitioners, educators, students and the public.) And according to David Oakey, a designer with a penchant for sustainability, "Biomimicry is a science that studies nature’s models and then imitates or takes inspiration from these designs and processes to solve human problems." For example, he says, the composites of a stealth bomber are based on the composites of a rhino's horn, and heat-seeking missiles were developed through the study of the intelligence and sensory abilities of the viper. Basically, biomimicry offers functional products that replicate the time-tested attributes of nature. The concept is championed by Jeanine Benyus, the author of Biomimicry: Innovation Inspired by Nature and the founder of The Biomimicry Institute and the Biomimicry Guild. The Institute is a not-for-profit organization "whose mission is to nurture and grow a global community of people who are learning from, emulating, and conserving life's genius to create a healthier, more sustainable planet." And the Guild helps "companies and communities find, vet, understand and emulate life's time-tested strategies." 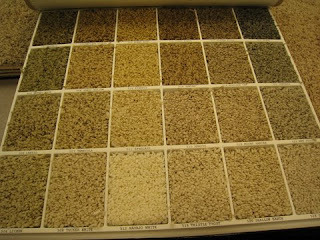 But what really connected with us here at Carpetology was the fact that InterfaceFLOR has created carpet based on the principals of biomimicry. Headquartered in Atlanta, Ga., this division of Interface Inc. looks at sustainability just as it looks at good design - imperative to its products. "Our corporate vision is to become, by 2020, the first company to show, by its deeds, the entire industrial world what sustainability is in all its dimensions - people, process, product, place and profits," says the company's website. "In doing so, we will become restorative. In other words, our intention is to put back more than we take out." The company manufactures modular carpet tiles, which "combine a high degree of functionality with a genuine sense of style." If InterfaceFLOR carpet is ever damaged or stained, single tiles can easily be replaced, eliminating the need to replace the entire carpet. "As a direct result of practicing biomimicry, Interface's David Oakey developed a carpet," reads Implications. "Entropy mimics the random patterns of the forest floor, yielding environmental benefits not found with other carpet tiles. Because the subtly-shaded carpet tiles blend together like leaves, there is easier matching of replacement tiles, fewer discards, easier installation, all ultimately resulting in waste reduction. In this way, biomimicry can definitely benefit facility managers and building owners." In fact, a whole line of carpet tiles, called i2, was designed using biomimicry. They're lovely, and no matter what color you order them in, they're all green. Be a Red Carpet Reporter! You're obsessed with celebrities. The camera loves you. And you simply adore the spotlight. If this describes you, then visit YouTube.com's redcarpetreporter ASAP for a chance to become a red carpet reporter for one star-studded evening. But don't take your time - you only have until midnight on Wednesday, July 23, to upload your entry video. YouTube and People.com have joined forces to launch People's new YouTube channel, which features all the delicous gossip you read in print form in a brand spanking new video format. To market the new channel, they're sponsoring the Be A Red Carpet Reporter contest, the grand-prize winner of which gets to attend the Emmys in September with People's reporter, Michelle Beadle. Apparently, the winner will also enjoy two days in L.A., a wardrobe budget, and VIP entry at exclusive events. Simply upload a two-minute video of yourself interviewing someone, red carpet style, and upload in to YouTube. You can find all the official rules here. "A team of PEOPLE.com editors and red carpet correspondents will narrow the field to 10 finalists. Finalists will produce a second two- to four-minute video in which they will conduct spontaneous interviews in a public area. 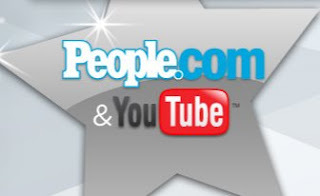 PEOPLE.com and the YouTube community will vote on the 10 finalist videos, and the winner will be unveiled simultaneously on PEOPLE.com and YouTube on August 27, 2008." Talk about red carpet treatment. So if you've always wanted to fraternize with celebrities, now's your chance. Just don't forget the little people here at Carpetology who gave you the inspiration. I associate yellow with warmth, sunshine and summer. In fact, my favorite summer flowers are yellow - coreopsis, Stella D'Oro daylilies, black-eyed susans.... With it being deep summer now in the Northeast, it seems only right to offer you yellow inspiration. So, continuing with our series about Color Around The World, here is Yellow Around The World, courtesy of Ann Hurley, Woman of Wear-Dated and Ultron carpet fiber color expert, who lives and breathes color and product trends. During various periods in history and in different cultures, the color yellow [and gold] has been associated with wealth, power and intellect. In Egyptian art, yellow and gold related to the sun and have the connotation of something eternal and indestructible. The skin and bones of Egyptian gods were believed to be made of gold, thus their statues were often made of, or plated with gold. In Hindu mythology yellow is considered to have the power to influence the intellect. In early China, only the emperor and royalty were allowed to wear yellow. It ensured good luck and indicated power. During the French Empire period when the luminosity of gold became such an important part of decoration, the color yellow lost its sometimes negative connotation to become associated with grandeur. In Greek mythology yellow was associated with the yellow haired Helios – the sun god. He emerged from the waves wrapped in a yellow robe and was related to wisdom. The yellow we see in an egg yolk is a natural pigment called xanthophyll [pronounced zanthofill]. Many artists used an egg yolk wash mixed with pigment, commonly called tempera. Andrew Wyeth was one such artist who used this egg yolk wash, seen here is his painting, Christina’s World. Question: Pencils are traditionally painted yellow – why? Answer: the “lead” in pencils was made from graphite and the best quality graphite was found in China. The color yellow was associated with China and, therefore, pencils containing Chinese graphite were painted yellow. I'm so very excited to share with you a real life red carpet event, associated with people I know and really like [Connie Berry and David Duncan] from the carpet industry [Karastan], for a cause that sends chills up & down my back: The Joyful Heart Foundation. The Joyful Heart Foundation was created in 2002 by Mariska Hargitay, a.k.a. detective Olivia Benson on NBC's Law & Order: Special Victims Unit. Its mission is to "heal, educate and empower survivors of sexual assault, domestic violence and child abuse, and to shed light into the darkness that surrounds these issues." In Mariska's words from the website: "In creating programs for our members, we quickly realized that everyone heals differently. We provide an extensive network of resources for women and our own groundbreaking retreats that include art therapy, surf camps, swimming with dolphins in the wild, yoga and writing workshops that complement traditional counseling and therapy. When women are abused and assaulted, it is like the doors to their souls slam shut. The goal of Joyful Heart is to let the light, and the life, back in--to banish the darkness and let the healing begin." The Joyful Heart Foundation website is an unusual place, filled with the sounds of dolphins underwater. It also includes numerous resources for victims of sexual assault, domestic violence and child abuse. I find Hargitay's performance as detective Benson riveting. She is intense, passionate and totally focused on the special victims whose protector she is. 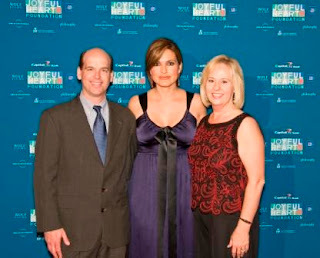 It's hard for me to realize, as I did after speaking with Connie Berry - pictured here with Mariska and David Duncan - that she didn't come into her role with the Joyful Heart mission. Rather, the role, the research she did to convincingly play the role and the interaction she had with victims of abuse in her role led her to found The Joyful Heart Foundation. Talk about a personal statement. Connie, David and Karastan became involved because Mariska Hargitay was Karastan's 2007 'statement maker.' What better way to make a statement than to support one's statement maker as she makes her personal statement. What a fantastic Red Carpet Event in honor of an organization - The Joyful Heart Foundation - and a woman - Mariska Hargitay - making a difference in this world. If you'd like to make a donation to The Joyful Heart Foundation, this is the link. If you know someone who has lived through sexual assault, domestic violence or child abuse, please direct them to The Joyful Heart Foundation. Episode 8 of A Foot's Perspective comes from the Sear's Tower in Chicago. The Sears Tower is an impressive building- it's the tallest building in the U.S. since 1973 - and offers an unsurpassed view of the Chicago area. Not to dash your expectations, but I won't be showing you any of that. Rather, I'll be offering you a foot's perspective of the reception area, at the top of the Tower - albeit below the SkyDeck -where we held an event during the recent NeoCon show. 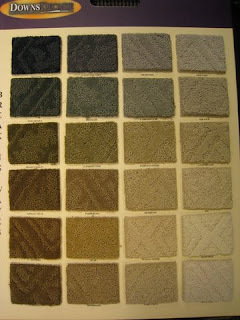 NeoCon was quite exciting as Ann Hurley presented our newly introduced Ultron color forecast, aptly named "To Dye For." We also introduced a new contract carpet fiber - Ultron StainGuard - and showcased many beautiful new introductions from our mill partners. In the next episode of A Foot's Perspective, I'll take you through the showroom and our new introductions. Meanwhile, here is an up-close-and-personal foot's perspective on the flooring of our beautiful reception space up in the Sears Tower... The entry rug in particular is magnificent in its colors and bold pattern. This installment of The Carpetology Wear-Dated Website Guide will take you through Subscribing to the Newsroom. First, some information about the Newsroom itself. You may notice from the navigation at the top of each page on the website, that the Newsroom option looks a bit different. It's a different color, and it's a link. When you mouse over it, you won't get a listing of pages as you do the other navigation choices like Learn About Carpet or Plan And Design. + About Wear-Dated includes reference information like What Is Wear-Dated?, The People of Wear-Dated, Corporate Social Responsibility, Wear-Dated Timeline, About The Newsroom and What's New at Wear-Dated? + Document Library with digital copies of our printed resources. These subscription options offer a choice between having updates delivered directly to your email inbox or via RSS to your feedreader anytime we add new News items, Press Releases or Promotions. Mind you, this differs from the website registration process [described in The Carpetology Wear-Dated Website Guide: Home Page] which lets you comment and rate products and retailers and opt in to our newsletter. Let me go through the ins and outs of the subscription process here. 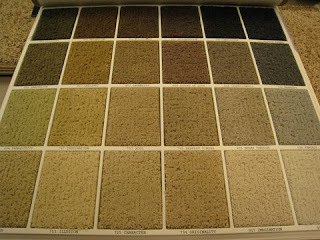 [By the way, it's very similar to the options available here on The Carpetology Blog!] Feedburner, a reputable resource recently acquired by Google, provides the service for both options. RSS stands for Really Simple Syndication. With RSS, updates appear in a 'feedreader' that aggregates news feeds. These feeds can be easily accessed and organized [e.g., in folders] according to your preferences. 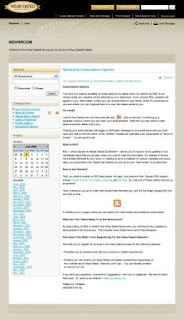 To get started subscribing to an RSS feed, you first need to enable a feedreader like Google Reader, Newsgator, Bloglines and Netvibes by setting up an account. Once the account established, it's a matter of enabling the subscription - same as if you were enabling the email subscription. On the Wear-Dated website, look for the bright orange RSS icon and click on that. It will take you to a page where you can select your feedreader and enable the subscription. For an email subscription, click on the Feedburner flame icon. This brings up a separate window for entering email address and spam-prevention letters. That then triggers a verification message to your email inbox. You MUST open that verification email and click on the link within. Once 'verified,' FeedBurner activates the email subscription to “News And Events”. You are ready to receive updates! While I was researching Brussels carpet for my recent Independence Day blog post, I came across another type of Brussels carpet. Located in - where else? - Brussels, Belgium, this is a carpet made not of fiber, but of flowers. One million flowers. The Brussels flower carpet was first created in 1971 by E. Stautemans, a landscape architect. According to The Human Flower Project (an interesting initiative in its own right), he wanted to promote the begonia, a flower heavily cultivated in Belgium. 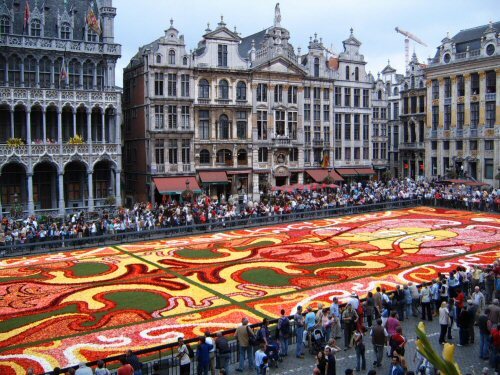 In 1986, the flower carpet became a consistent tradition and can today be viewed in Grand Place, the very center of Brussels, for three days every two years. After Stautemans passed away in 1998, another landscape architect by the name of Mark Schautteet began designing the carpets and continues to do so today. After the design is complete, one hundred gardeners meticulously execute it the day before the flower carpet display officially opens, using Begonia blossoms of the brightest, boldest colors. This year's carpet will be on display from August 15 - 17, 2008. Sadly, the begonias won't live any longer than those three days. An article from the Dallas Morning News describes the creation of the Brussels carpet like this: "On the day the display is assembled, workers spread the plastic onto the cobblestones. Next, gardeners roll out strips of grass between the motifs. The turf adds green to the design and lets gardeners walk on the carpet while preparing it. Gardeners pack the blossoms tightly into the design – about 300 flowers per square yard – so that they aren't blown away by wind. If the weather is hot and dry, the turf must be watered." Or, enjoy some vibrant photos of the carpets from 2002, 2004 and 2006 here. Each year, the designer chooses a different theme for the carpet. This year, the design is inspired from 18th century French carpet. And in addition, other flower carpets will be on display in Leuven, The Hague, Ghent and Seneffe at the same time as the Brussels carpet. If you have some time on your hands (and some money in your pocket), throw caution to the wind and travel to Brussels for a few days. Enjoy dining al fresco as you admire the color, beauty and lush "fabric" of the Brussels flower carpet, as well as fireworks, lights and music on the carpet's opening night. Room scene with Breaking Waves courtesy of Mohawk. As I mentioned in Flooring America Carpet Styles To Consider Part I, this is my opportunity to get up-close-and-personal with carpet. 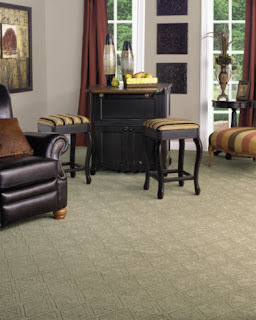 I'm focusing on several carpet styles worth considering and available at Flooring America stores across North America. In my previous post, I covered All My Heart, Top Right and Top Left and Lake Winnipeg. Here, I will focus on the two remaining products, Breaking Waves and Baby Moon, both found in Downs. These Flooring America carpet styles capture many of the characteristics I describe in The Latest in Carpet Style Trends: stylish, luxurious, complementary to hard surface and featuring a range of fashionable colors. 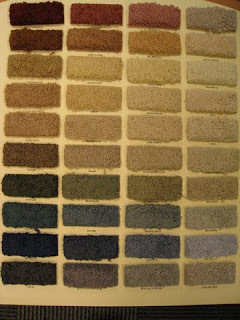 Breaking Waves has the most distinct pattern of these carpet styles. For that reason, I include the room scene above to give a better feel for how the pattern works in a room. The official romance reads: "Create a fashion statement with this exquisitely styled traditional loop pile available at Flooring America. Breaking Waves' great styling and fashion forward color palette was created with your design savvy consumer in mind. 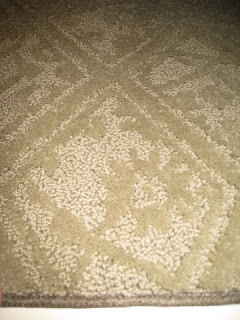 24 inspiring neutral colors compliment this true sophisticated traditional pattern." It is a level cut loop pattern construction. 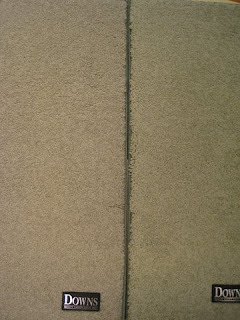 From these two photos, you can see how the loop part of the carpet forms the background of the pattern, and the cut pile portion forms the trellis and design pattern. Breaking Waves is available in 24 inspiring colors, including a lovely white [dove tail] and deep navy/charcoal [sea lion]. Baby Moon represents a casual texture or frieze [see Pray Tell: What is a Frieze Carpet?]. It resembles Classic Drive. Here is the official romance: "Destined to be one of Flooring America's most popular styles. The versatility of Baby Moon will complement any interior approach you have or want. 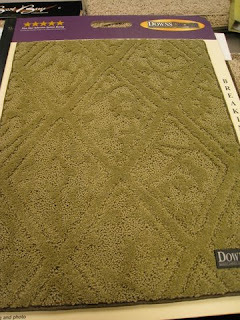 This tone on tone casual texture constructed of Solutia Wear-Dated DuraSoft carpet fiber features soft textured styling in an array of beautiful colors. The combination of casual styling and durability will make this one of the hottest fashion finds around." You now have an additional six carpet styles to consider. Let me know what you think, and which you prefer, and if you have any questions. By the way, here is Flooring America's writeup on Wear-Dated from their website [it's hard to find unless you go through the site map]. + Pray Tell: What is a Frieze Carpet? + What About Shag and Cable Carpets? I haven't gotten up-close-and-personal with carpet since early May. It's definitely time! Over two blogposts, I will highlight six carpet styles worth considering. These are carpet styles available at Flooring America stores across North America, and include Baby Moon, All My Heart, Breaking Waves, Top Right and Top Left and Lake Winnipeg. In this post, I will focus All My Heart, Top Right and Top Left from Downs, and Lake Winnipeg from the Heatherfield Collection. I mention these Flooring America carpet styles not just because they are made with Wear-Dated carpet fiber, but also because they capture many of the characteristics I describe in The Latest in Carpet Style Trends: stylish, luxurious, complementary to hard surface and featuring a range of fashionable colors. I'll review each in turn. All My Heart represents a level cut loop, where the loop alternates with a cut or pile section, creating a pattern. The pattern is subtle, somewhat random yet also geometric in its abstraction. The official romance reads: "Soft elegance is the allure of this exquisitely crafted carpet. This pattern will enhance and warm any interior. Crafted of Solutia Wear-Dated DuraSoft carpet fiber with Scotchgard Advanced Repel Technology, this delicate yet durable fabric features a designer color palette." As you can see, the designer color palette includes 24 colors. Top Right and Top Left are related. They represent a good and better textured saxony style and share a common color line of 40 colors. My photo doesn't do these products justice; it doesn't fully communicate how thick and opulent they feel. However, the close-up below gets closer to conveying how delicious Top Left is. Top Left resembles Beautiful Vista. The official description reads: "Top Right/Top Left makes life simpler and more beautiful. Designed with comfort in mind, this better/best textured saxony is a versatile decorating element that can be mixed or matched with just about any décor. Use it as a backdrop for patterned furnishing or cover your floors in a color that speaks for itself. Regardless of the shade you choose, you can depend on Wear-Dated nylon to give you the quality and performance you want and need in a carpet. " From this shot of the color palette, notice the many warm colors at the top as well as the range of cool colors at the bottom. All three of these products belong to Downs. According to the Flooring America site [and adapted for our recent press release], the Downs Collection reflects over four generations of heritage and reliability as one of the most respected and trusted names in the flooring industry. Its reputation for superior construction, exclusive styling and unsurpassed performance makes it a go-to brand for customers seeking a great-looking, long-lasting floor. The last product I want to offer for consideration in this post is Lake Winnipeg. It represents a berber loop pile carpet from the Heatherfield Collection, which groups together loops. What I particularly love about this carpet style is how a large loop alternates with a smaller, brighter loop, creating a delicious tone-on-tone effect. It is similar in look and feel to French Riviera. 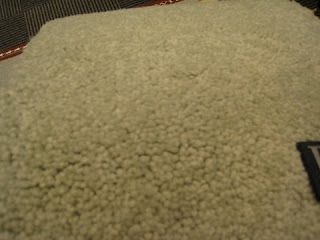 The official description reads: "Expanding on the classic softness of our berber loop pile carpets. Lake Winnipeg will garner the attention of consumers everywhere. Constructed of Solutia Wear-Dated Durasoft will make decorating easy and fun." Here is the color line of 16 colors. In part II, I'll get up close and personal with Baby Moon and Breaking Waves. Let me know if you have any questions about these products, and do check out the Flooring America promotion we have listed on our website for July and August, 2008. The Fourth of July conjures up the memory of hot summer nights, the soft flicker of lightning bugs and the intensity of the very best fireworks you'll see all year. It also gives us a little extra time to reflect on the fact that a little over 230 years ago, our young country was fighting desperately for its independence. And somehow, we did the unthinkable. We won. From then on, the United States of America has been the land of opportunity. For better or worse, people arrive here to start new lives. They see the USA as a place where dreams come true and money is made, and whether this is accurate or not, many of us living here have excessively more than people in other parts of the world. For decades, only the wealthiest families had carpet in their homes in America. Carpet reproducer J.R. Burrows' website suggests that carpet was a coveted possession. "In the Federal Period, when floorcoverings were prized and extremely costly, most wealthy American families had Brussels carpets in their best rooms." The site discusses both Wilton, a cut pile carpet, and Brussels, a loop pile, among others. Both were manufactured in Kidderminster, the carpet capital of Britain. In the 19th century, the wealthy tended to put the velvety Wilton in their very best rooms and Brussels in other areas of the house. "Brussels carpets were first woven in the early 18th century... Wilton carpets have the same structure as Brussels but the pile is cut open and sheared, producing a velvet-like quality. Although increased mechanization has equalized the pricing, in the 18th and 19th century the velvet pile of Wilton was roughly double the cost of Brussels." Thomas Jefferson apparently enjoyed Brussels carpet in Monticello. You can actually see a list of the carpet found in many of his rooms here, on the Thomas Jefferson wiki. And at MountVernon.org, you can purchase reproductions of carpet that could very well have covered George Washington's floors. But as you probably know, carpet has been around far longer than the young life of the United States. "The earliest surviving pile carpet in the world is called the "Pazyryk Carpet," dating from the 5th-4th century BCE," says Wikipedia. [You can see a photo of The Pazyryk Carpet at left.] It was excavated from the valley of Pazyryk and thought to have been made by the Iranian Scythians or the Persian Achaemenids. Historians and archaeologists can also trace carpet from Turkey, Persia, India, Pakistan and later, after the Crusades, even from Europe. 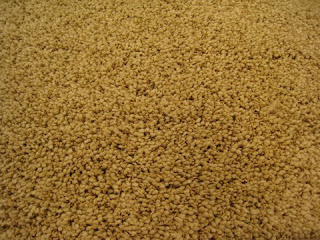 Originally, carpet was less of a luxury and more of a necessity. The Turks placed carpets on floors and over doorways to protect themselves from extreme cold temperatures. Then later - and still today - Muslims spread carpets on the floors of Mosques on which to worship. Beginning in the 1790s, merchants began to bring carpet to the United States. At this point, carpet had become a luxury (as Thomas Jefferson could tell you). 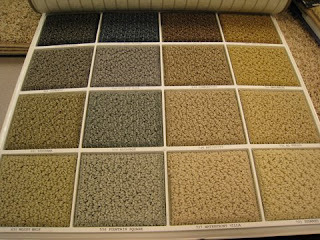 But today, all types and colors of carpet are found on floors in houses and trailers and mansions across the country. Carpet has become accessible and attainable for everyone, not just the wealthy. Strangely enough, carpet has even soared into the digital dimension - players in Second Life can purchase American Flag Flying Carpets [see image at right]. With Independence Day upon us, I'm not sure it gets more American than that.